Klein Marine System’s flagship 5900 high-resolution and high-speed side scan sonar is designed for use as either a conventional towed system or a payload for an unmanned surface vehicle (USV). 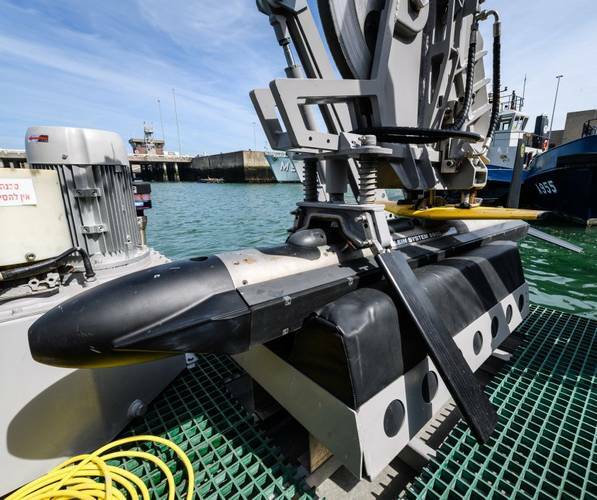 Klein recently tested its newest sonar features in Israel on the USV Seagull, Elbit’s versatile platform for mine hunting and antisubmarine warfare. 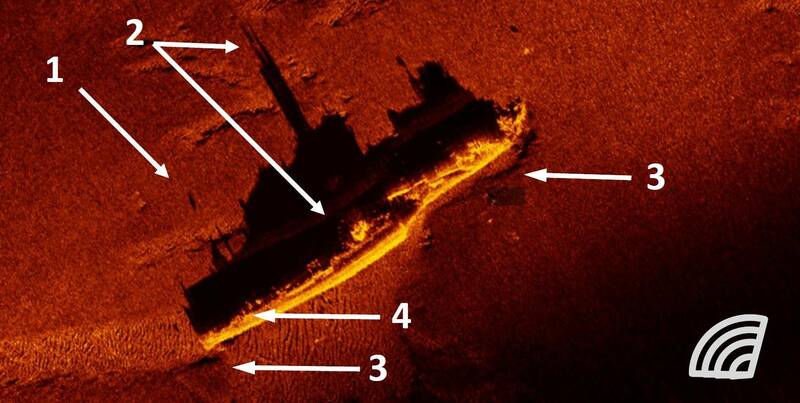 Among these features is the ability to control and stream full-resolution side scan sonar images via satellite.During a recent test, the Klein 5900 made several passages over the wreck of the Italian Submarine Scirè, sunk by the British naval trawler Islay in 1942. The Scirè lies in 35 meters of water on a sandy bottom, six miles outside of Haifa. In 1984 the Italian Navy Special Forces “COMSUBIN” led a successful mission with the ship Anteo to retrieve the remains of 42 bodies trapped inside. 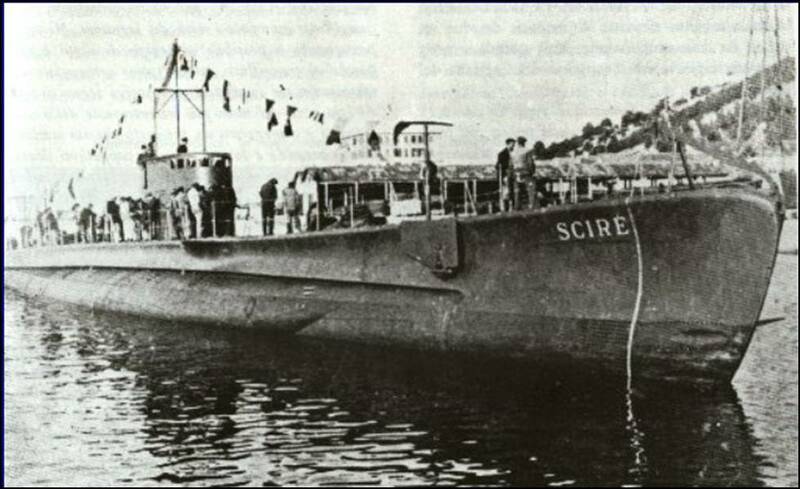 The operation that led to the sinking of Scirè is interesting. It was made possible by the leading-edge technology then used by the British intelligence service. The Scirè, avidly sought by the Allies after its string of successful missions, left the docks of the Italian Navy base in Taranto on July 29, 1942 on a mission to attack the then-British port of Haifa. The details of the mission had been communicated by the Italians to their German allies, neither aware that the German state-of-the-art encrypted communication system Enigma had recently been compromised by the British intelligence service using Alan Turing’s newly developed machine, precursor to today’s computers (see the Oscar winning movie The Imitation Game). The decoding of the ciphered communications between Italy and Germany meant the fate of the Scirè was sealed from the moment she left the docks. The submarine was allowed to enter unchallenged into Haifa Bay and was then trapped from the outside by the British forces. The Islay hit the Scirè with depth charges in the late afternoon of August 10. The submarine was forced to surface and to strike back, but once on the surface, was pounded by land artillery and sunk. Further depth charges completed its destruction and sealed the fate of all crew members. In Figure 4, the 5900 is flying from SW to NE passing the wreck of the Scirè to its left. 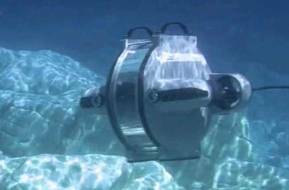 The sound waves are captured by the portside transducer. (1) A shadow with no attached bright reflection indicates an object in the water column, in this case possibly a buoy or fish net (2). The sail and the mast of the Scirè stand out clearly, both in the tar-get and in the shadow with exceptional sharpness. (3) The surveyor knows a basic yet important rule. Along the direction of sound (in this case the wreck is insonified bottom-right to top-left) a shadow followed by bright indicates a depression, in the bottom. (4) Bright followed by shadows indicates a feature raising from the bottom. In this case clearly the hull of the submarine. What is dynamic focus and beam steering? Klein commercialized the dynamic focus with the 5000V2. In the Klein 5900, there are 28 independent receive sub-arrays on each side. Each sound sample from each element is recorded and stored in memory. A software process subsequently takes into account position information, motion sensor and user’s parameters, to retrieve the appropriate sound samples from the sound memory to compose a synthetic image. By the laws of physics, sonar waves reflected from a target have different radiuses depending on the distance of the target. When the operator focuses on 25 meters, the 5900 software delays each sound sample to adapt to the corresponding radius. At 75 meters the radius is larger etc. The focusing, i.e. computing the delay of each sound sample, is one of the reasons behind the 5900 crisp imagery. Beam steering is a technique made possible by the 5900 sound processing architecture. Motion sensor information (heading, pitch, roll and yaw) feed into the 5900 algorithms to compose synthetic beams pointing orthogonally to the course over ground, as opposed to orthogonally to the towfish heading which is more subject to inevitable fluctuations. This is why the 5900, unique in its class, is designed to operate and to produce crisp clear imagery even in high sea states or in shallow waters where sea waves have a grater effect on the towing vessel. 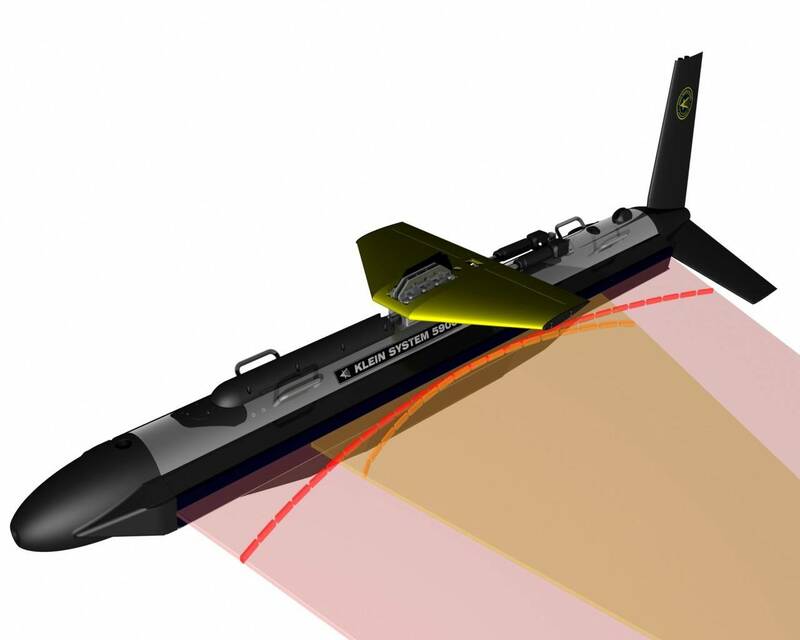 All sonar images are acquired with Klein S5900 side scan sonar, operated with a K-Wing III depressor, through the A-frame of the Elbit Seagull USV. Recorded on radio link at the Elbit Headquarter via SonarPro V14.0 Survey and Targeting Software via Klein proprietary SP-Link. Post processing in Chesapeake Sonarwiz.